Attorney General Aiyaz Sayed-Khaiyum says despite the lack of support from the private bar, the government is determined to ensure that all Fijians have access to legal representation within the first hour of their arrest – a time when they are at their most vulnerable. While speaking at the High Level Seminar on United Nations Convention against Torture in the Pacific at the Intercontinental Hotel, Sayed-Khaiyum says reforms in police interrogation procedures were aimed at shifting interrogations to a less confrontational nature; changing the power dynamics and ensuring that witness statements were captured via video recordings. Sayed-Khaiyum says the First Hour Procedure was initiated as a pilot programme for six months, and it has already been a success with the provision of access to legal counsel to more than 3,000 Fijians since the inception of the programme in November 2016. He says unfortunately, the programme has been carried solely by the joint efforts of the Police Force and the Legal Aid Commission. Sayed-Khaiyum says the Legal Aid Commission used to only have, a few years ago, a budget of about $350,000 but today has a budget of about $10 million. 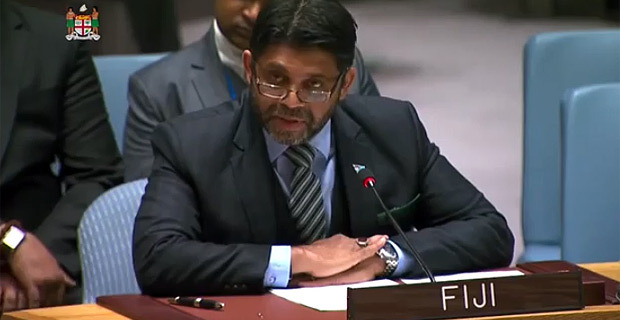 He says Fiji has not been able to gain much traction with the private bar, despite the provision of training on the Procedure to members of the private bar, such as the current President of the Fiji Law Society and a colleague in Geneva in 2016. Sayed-Khaiyum also says that as our supreme law, the 2013 Fijian Constitution has been held as one of the most impressive and progressive constitutions in the world today. He says as the cornerstone of our democracy, it enshrines a vast array of rights and protections, for all time, in its Bill of Rights provisions. He also says that the Fiji Corrections Service has been given funding under the 2018‑2019 National Budget to continue with the construction of remand centres in major population centres throughout the country and to address various issues that may arise from a growing prison population.